Based on original content by former Northerner Emma Brooke. Like many Northerners who’ve dared to make the great exodus ‘down south’ (despite nan’s insistence that nobody talks to each other and you’re definitely going to get mugged as soon as you arrive), a lot has changed since the day I got my first Oyster card. Whereas once I thought everyone sounded like Hugh Grant and was astonished that people would consider paying more than £3 a pint, these days the family laugh at me for having a posh accent and calling it dinner instead of tea (God forbid I ever start referring to it as supper…). Whether I like it or not, I have become a Londoner. And while most days I’m happy to drink craft beer and mooch around the latest pop-up boutique, occasionally the urge creeps in to sit in front of Corrie with a brew and something that consists predominantly of carbs and beef dripping. And so, my quest began to acquire the finest delicacies the North has to offer… in London. "Eccles cakes. They’re from somewhere up North aren’t they?". Yes, my friend, they are. A Greater Manchester town called Eccles in fact. Since the mid 18th century, the people of Eccles have been making these buttery, sweet currant cakes in order to make our elevenses extra special. Sourdough specialist E5 Bakehouse boasts a stunning cafe and coffee shop by London Fields, and eccles cakes are just one of the baked treats on offer. All goods are organic, handmade and use locally sourced ingredients, so you can be sure of their 'proper' Northern status. Or, for a more refined experience, head over to St John in Smithfield, where you can enjoy them at the bar or as a delectable dessert with a slice of good old Lancashire cheese. Dominique Ansel Bakery does a stylish version too, filled with currants, spices and a raspberry lemon gelée (although that's subject to change as the menu changes monthly) – that's right posh that is. 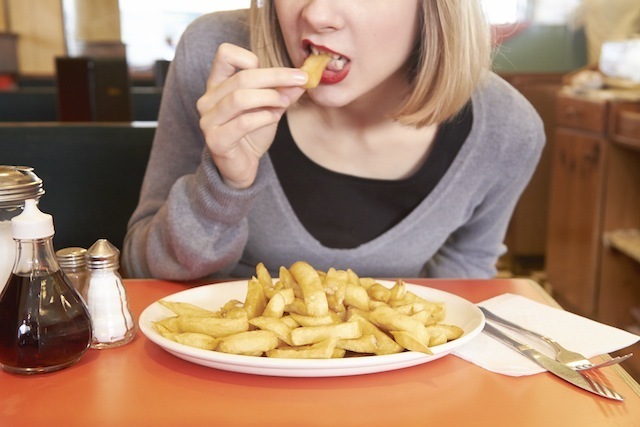 The quest for chips and gravy has been a long, arduous one for many a Northerner. How could something so simple be so difficult to find? Yes, there are many places that claim to produce your favourite Friday night treat, but once you get there you realise both components of this meal are too thin to merit real Northern status. We're all about the thickness. There are, however, a handful of establishments where you’re guaranteed to get something much more satisfying than a tub of Bisto. A formica lover's dream, The Fryer’s Delight on Theobalds Road has been around for over 50 years and what they don’t know about frying chips isn’t worth knowing. Expect lashings of gravy and one of the capital’s best recreations of this Northern delight. Or just round the corner, we can also recommend one of Farringdon’s favourite cheap eats, Traditional Plaice on Leather Lane. Claiming to be London's oldest fish and chip shop (there's a fair few of those around), Rock and Sole Plaice in Covent Garden also has this late-night snack on the menu but it'll cost you a fiver — eye watering even by Southern standards. If it's a quick'n'dirty you're after and you're willing to substitute authenticity for immediacy, we've found Chinese takeaways are extremely reliable on the side-of-chips-and-pot-of-gravy front. Even if it's not on the menu, many seem to be able to whip it up for you in a matter of minutes if you ask nicely. Forget Red Bull or a double espresso, there’s only one treat that’s keeping up the energy levels in Cumbria — the well-loved Kendal Mint Cake. Whether you're stuck halfway up a mountain in a hailstorm, or halfway through a tunnel on the Central line at rush hour, this high-glucose snack is a much needed pick-me-up. There are a few different brands knocking around, but one of the most popular has to be Romney’s, established in 1918 (apparently it was the first mint cake to successfully reach the top of Mount Everest). If you’re feeling flush, head down to Liberty and pick up a couple of trekking tins. Otherwise, you can get hold of the minty stuff at most mountaineering shops and, for some reason, the kitchenware shop Lakeland. Traditionally a North East dish, pease pudding is affectionately known as 'Geordie hummus' and the perfect comfort food to enjoy with a nice, warm stottie. Back in the day, it was adopted by London’s east-enders who’d enjoy it with faggots or a yummy saveloy sausage. These days, gentrification has taken hold, and you’re more likely to find it in some of the city’s more upmarket eateries. With menus changing apace it can be difficult to keep track of its appearances, but Dinner by Heston Blumenthal, Butler's Wharf Chop House and Simpson's in the Strand have all featured it recently. If you’re on a budget, or just want to enjoy it 'your way' at home (it's delicious with cold meats) your best bet’ll be some of the larger supermarkets, although you might have to order it in especially. Sainsbury’s currently has it for 50p. Now here's one that most of you will already recognise. Black pudding has seen a bit of a revival lately and can be found on the brunch menu of many a gastropub. While many Southerners will still wince when you reveal the ingredients, for us a full English just isn’t the same without it. Black pudding's origins are dubious, but one of the strongest and well-supported claims comes from Bury. Team it with bacon, eggs, plus bubble and squeak at Maria's Market Cafe in Borough Market — hearty fare at decent prices from a family-run joint. Best washed down with a strong cuppa. If a gastro brunch isn't your thing, greasy spoons are another likely black pudding provider. They're all over the capital, but our recommendation for a first-rate fry up is at Grade II-listed caff E Pellici in Bethnal Green. Forget goose fat. Everyone knows that any kind of potato-based accompaniment tastes a million times better when it’s covered in beef dripping, even if it is sending you to an early grave. Northfield Farm in Borough and Broadway Markets sells great big tubs of the stuff for you to experiment with at home. If you want it delivered hot straight to your mouth, The Chipping Forecast in Notting Hill continues to do things right with beef dripping-fried treats as standard (although other oils are available on request). 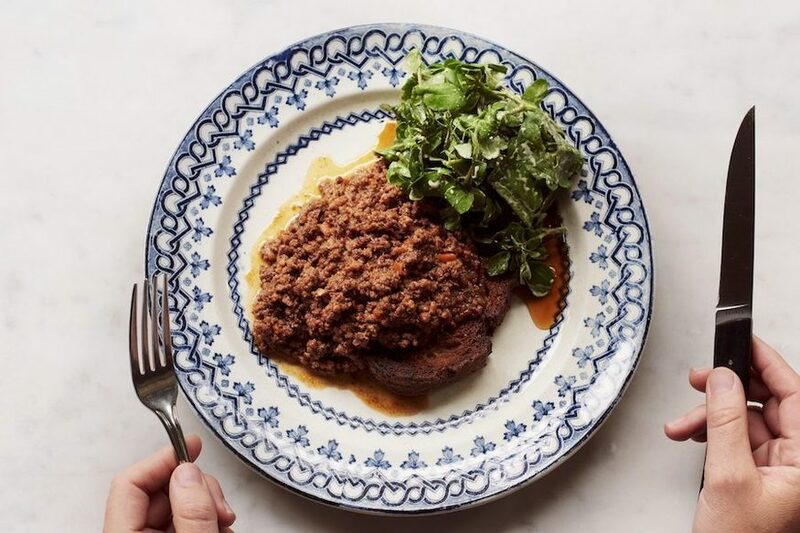 The Quality Chop House in Farringdon goes one step further and makes its own dripping in-house, serving it soaked into toast with a mince and watercress topping. Finally, it should come as no surprise that meatheads Hawksmoor serve beef dripping fries as a side at most London outlets. Dripping toast at The Quality Chop House in Islington. A hearty stew, topped with some crisp potatoes and served with a heap of red cabbage, Lancashire hotpot is a common teatime favourite. While it is available intermittently on the specials boards of certain gastropubs (and mentioned in many posh cookbooks), at present it’s proving particularly elusive. Alas, even Twitter was unable to help. However keep an eye out at your local after Christmas roast season is over and you might just be fortunate enough to get your hands on the perfect winter staple. Words by Emma Brooke and Ruth Hargreaves, chip picture by Chris Butchart.